Good morning! I hope you are all thawing out and warming up just a tad from this ridiculous winter weather we’ve been having. Clearly fall didn’t get the memo, and winter is taking over a little too soon. We were in the negatives a few nights ago, and still have several inches of snow on the ground. Is it summer yet?! The only positive coming out of this weather is that I’ve been gearing up for Christmas decorating. If you don’t know me very well, then this is TOTALLY out of character for me. I’m usually a Scrooge and refuse to listen to Christmas music or decorate anything until at least December 1st. But in combination of all the snow and now having a blog and seeing tons of others posting Christmas stuff, I’m ready to jump on in! So, here we go. My FIRST Christmas post of the season! Yay! Even though Jade is still too little to understand, I wanted us to start a new Christmas tradition; one that we’ll use each year with our kids, teaching them “the reason for the season.” Now that I have a family of my own, I want to make sure my children grow up knowing that Christmas isn’t just about getting gifts and Santa Clause and Christmas trees. It’s about the birth of our Lord and Savior, and how He came into this world to one day take on our sins. I didn’t want a chocolate/candy advent calendar, I wanted one that would prompt us to not only learn more about Jesus, but also do it together as a family. I found an advent calendar Bible verse list here, and our Bible Verse Advent Calendar was born! Does this branch and wall look a little familiar? 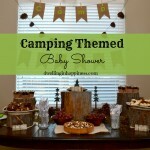 That’s because I made a similar setup for Jade’s first birthday party (You can see it here)! I used the same branch, but spray painted it metallic silver. Oh how its shininess makes me happy! I can’t get over how it totally looks like metal. This is normally our gallery wall, but I liked having it all decorated for Jade’s birthday so much that I decided I’ll be decorating the wall for a few of the major holidays from now on! My Christmas colors this year are mostly silver and lime greens, so I found some pretty lime green glitter paper. I used a 2.5 inch punch and punched out circles. These punches are so handy, and I use it for so many crafts. I use this one and it works like a charm! 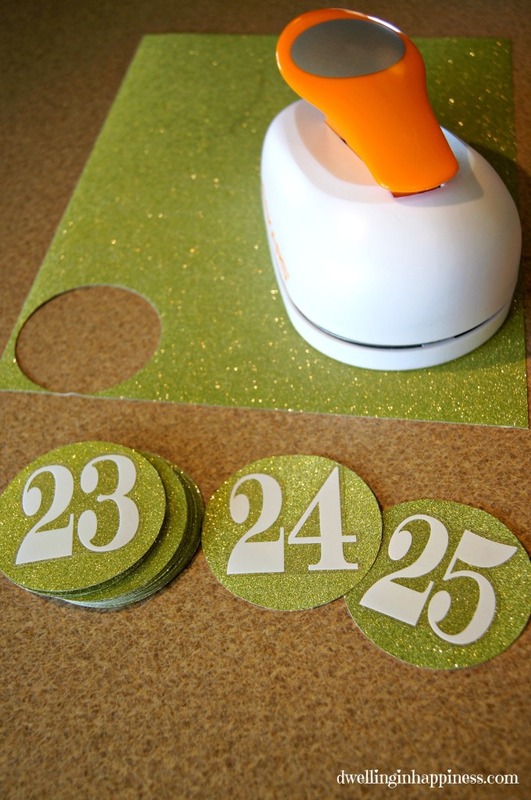 I found these great number stickers at the craft store that were perfect, AND they came in a pack of 1-25, exactly what I needed! 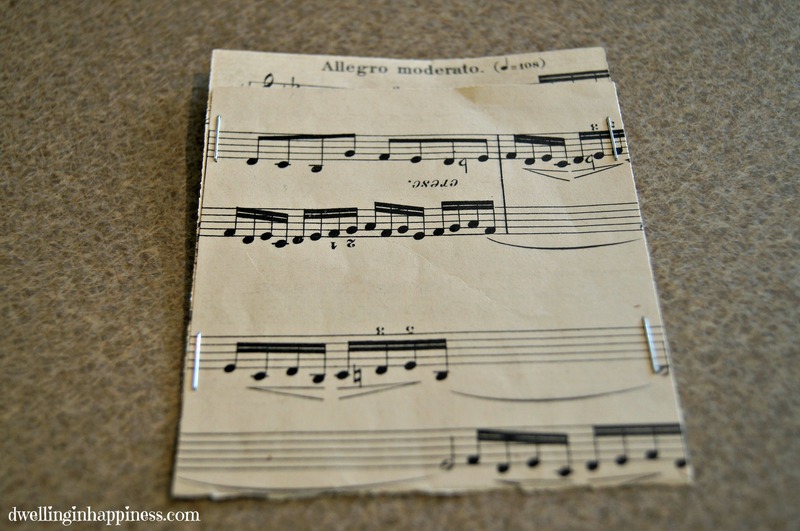 I stuck them on the front of the circles, then glued the circles on each music envelope. I bought some glittery white paper also, and cut them into strips to fit inside the envelopes. On the glitter side, I wrote a verse from the advent reading guide, which again, you can find HERE. It basically is a few verses to read each day that centers on the birth of Jesus and why we celebrate. Now, because I’m forgetful and sometimes can’t even remember what day it is, I needed a way of remembering which days we’ve completed and what day is next. So, to keep it simple and pretty, I just glued some leftover gems I had from jade’s party on the back of each white strip. When we complete our reading for that day, I’ll turn the strip over and display the pretty gem on the back! 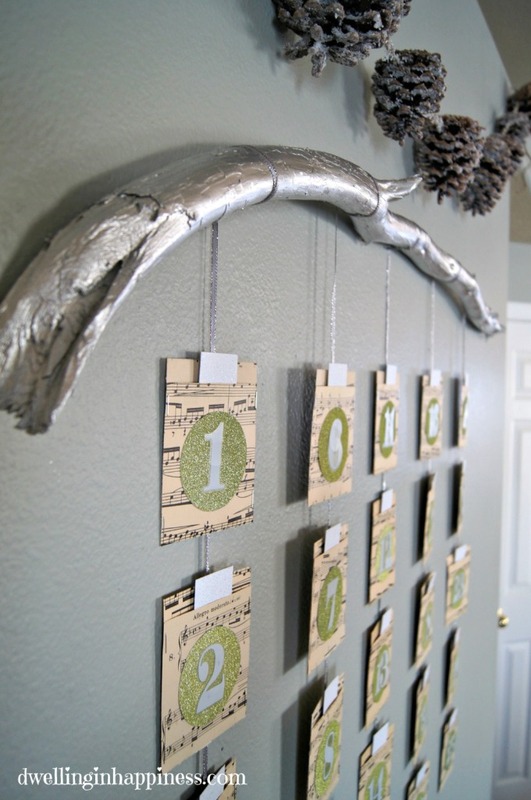 I used a pretty silver ribbon, taped it to the backs of the envelopes, and hung the ribbons from the branch. Voila! A simple, pretty advent calendar that we will be able to use each year to teach our kids the meaning behind why we celebrate Christmas. I am just so in love with how it came together! I’m eagerly anticipating December 1st so we can start reading! The pinecone garland above is leftover from a camping themed baby shower I threw, and I added a little something to make it look like they had snow on them. You can find the tutorial to make it HERE. 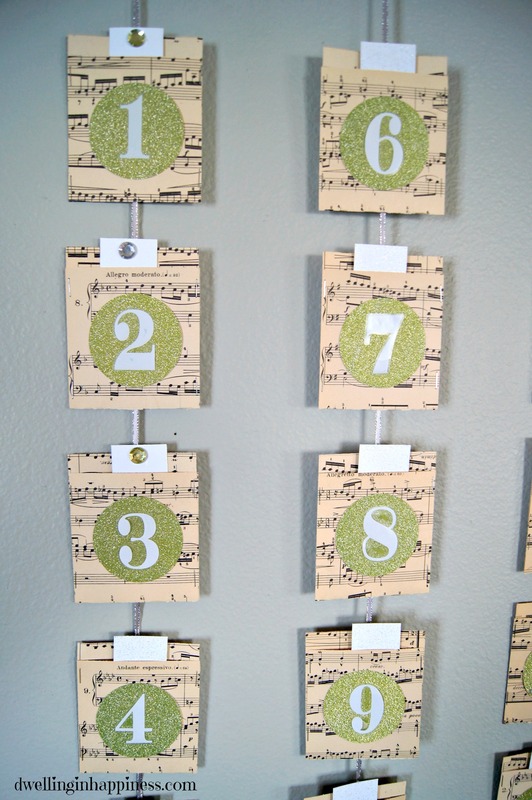 Do you use or make an Advent calendar? What does yours look like? Have a great rest of the week, and stay warm!! 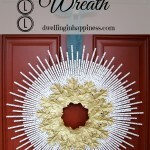 Erica recently posted…Christmas Holiday Gift Guide and Giveaway! This is so pretty and I love that it has a daily bible verse. I have done SO many different advent calendars with the kids over the years, but never something like this… That branch is really pretty, too! And, I used to have one of those hole punchers, but my husband borrowed it for something… I don’t even think it was craft related and it broke! Wah! 🙁 I need to pick up a new one! Thanks for sharing this! 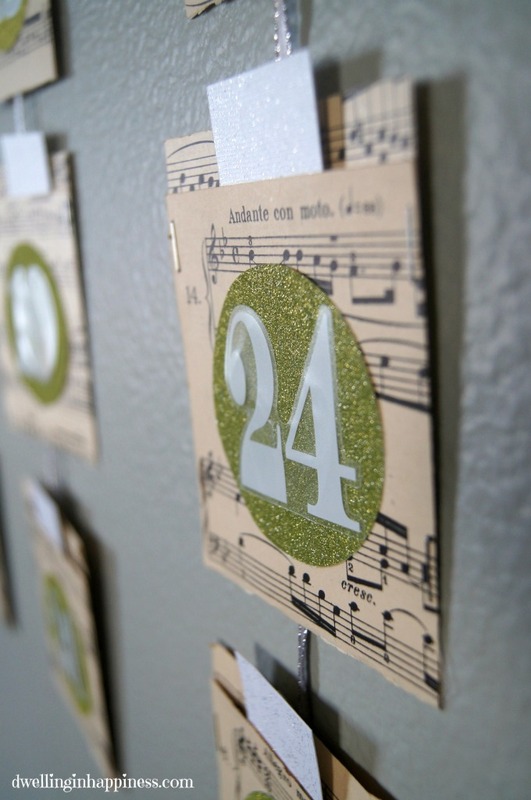 Like I said on Facebook, you’ve really inspired me here with this Advent Calendar – – love everything about it, from the glitter glam to the sheet music to the Bible verses to the branch it hangs from. What a wonderful way to anticipate our Savior’s birth! 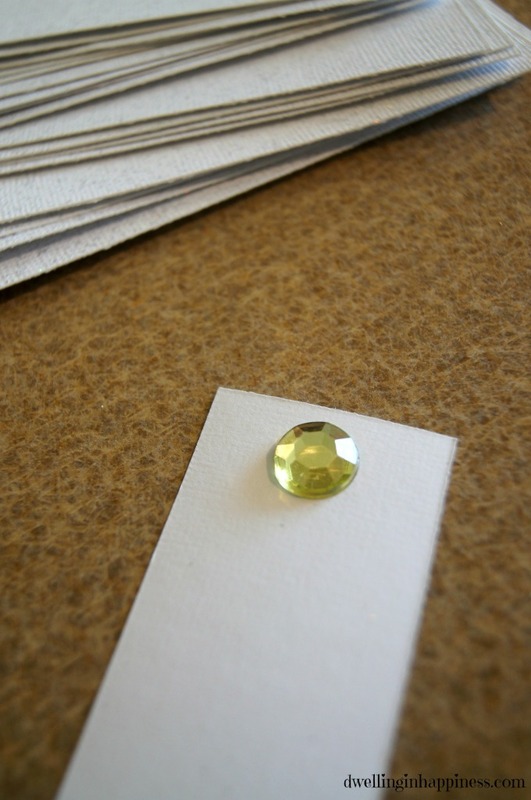 Lauren @ The Thinking Closet recently posted…Gift-Giving Expert Interviews: Sneak Peeks! 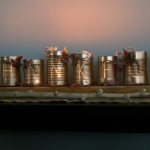 I really love this idea and the way it turned out! The branch and the music notes really make it! Great job girl! Aw thank you, Shelly!! I’m totally in love with it, too! 🙂 Hope you’re having an awesome Friday! Amanda I love this!! 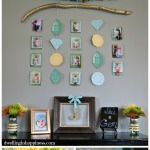 The colors are great and I love the idea of having bible verses. Thanks so much for including the link to them too! 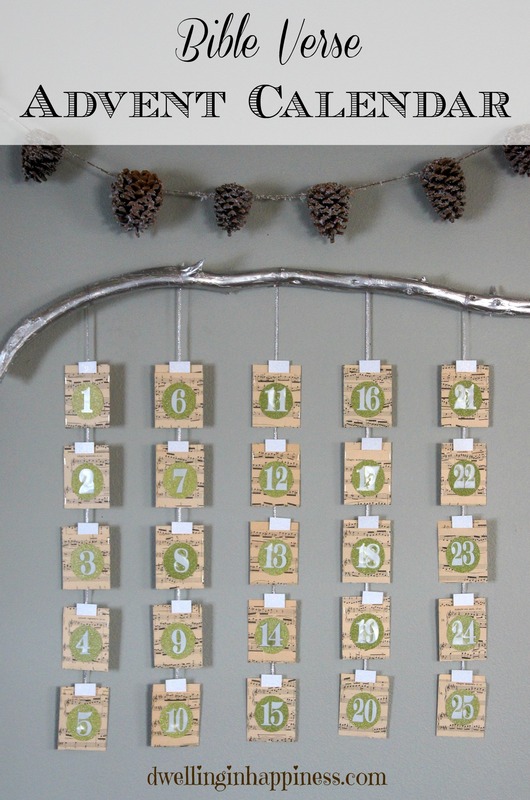 I need to get on making an advent calendar soon! This is gorgeous, Amanda! Love the glittery paper! 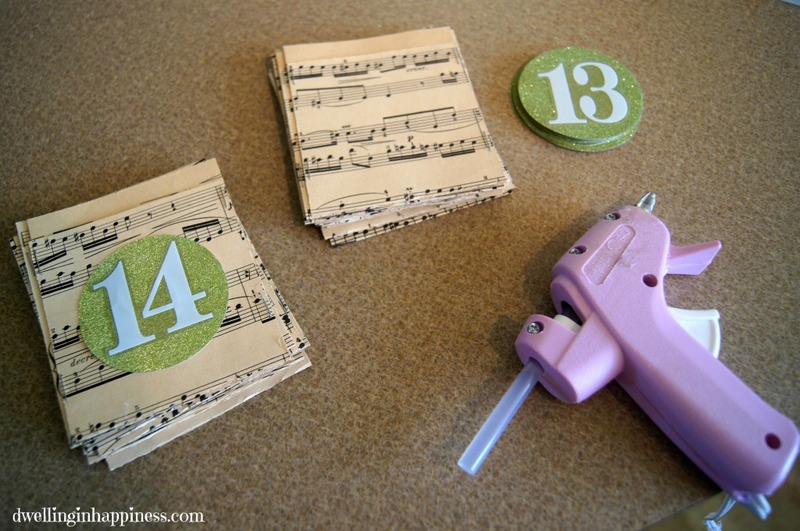 I love the idea of the verses tucked inside! Perfect! Thank you Kendra!! The glitter paper is so pretty up close! The verses are of course my favorite part. 🙂 Happy weekend! This is beautiful! I love the idea behind it! Thank you, Kristin! I love the idea of having the verses help us remember the story of Jesus’s birth. Hope you’re having a great weekend! G’day Gr8 idea! All blog comments appreciated and sharing is caring today! This is such a great idea! 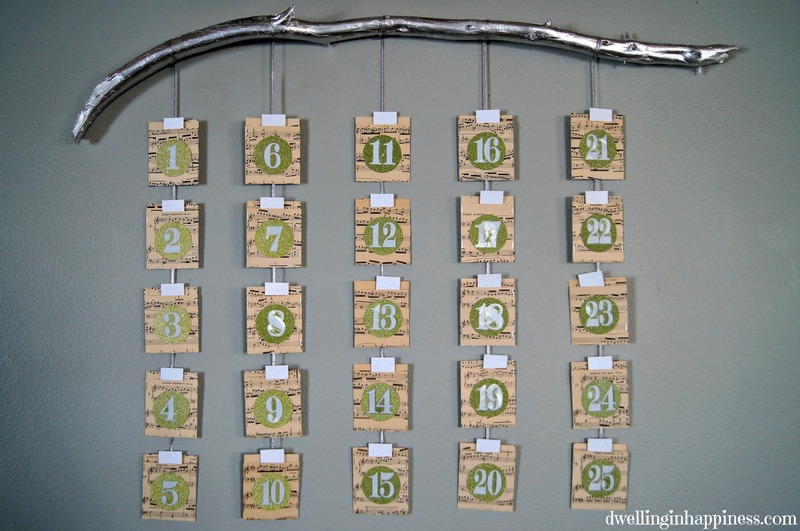 I’ve been seeing some cute advent calendar ideas, but I didn’t really want to do one with candy or trinkets this year. Bible verses are perfect! What a great way to remember the reason for the season. I’m going to have to agree with you! Where in the world did Fall go? It’s my favorite season of the year and I didn’t get my fill. I love this project. Way too often do we all get sucked into the Santa vortex. Thank you for keeping the true meaning of Christmas. PINNED! 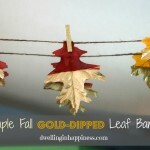 And thank you for joining the Found & Foraged link up party. We hope to see you again this Saturday! Happy Thanksgiving! Thanks Meaghan! Ha, the Christmas bug has got me this year! I’ve been listening to Christmas movies for a month already now! 🙂 Hope you had a fabulous weekend! Amanda this is so lovely! I love advent calenders. 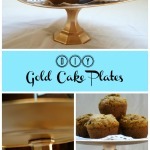 Thank you so much for linking up to On Display Thursday!!! Aw thank you!! I’ve been loving you party, thank you for hosting! 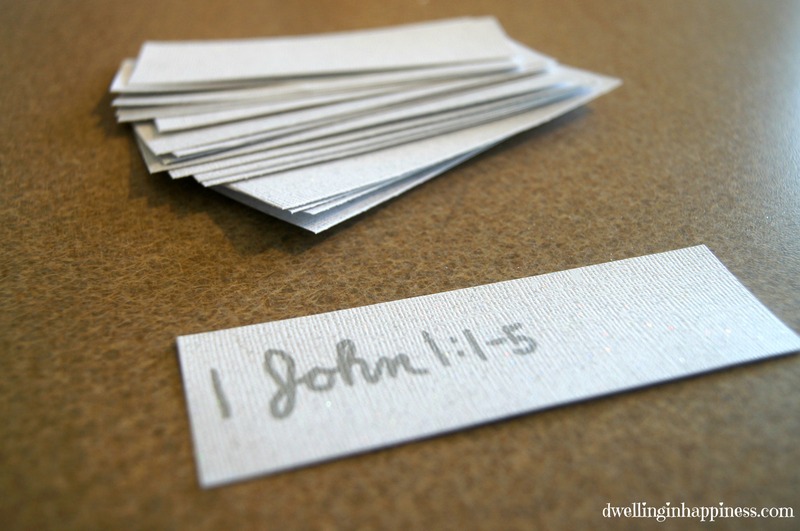 Oh this is so beautiful and what a great way to teach your kiddos verses! Love it 🙂 Thank you so much for linking up to Get Your DIY On! We were so happy to have you and hope you’ll link up next month with your Organization Project!